This last December, BUILD traveled to Oahu, Hawaii’s third largest island and home to the state’s busy capitol of Honolulu. The visit gave us a chance to visit with architect and Yale professor, Dean Sakamoto, who has become the leading expert on the work of Honolulu-based architect Vladimir Ossipoff (1907–1998). 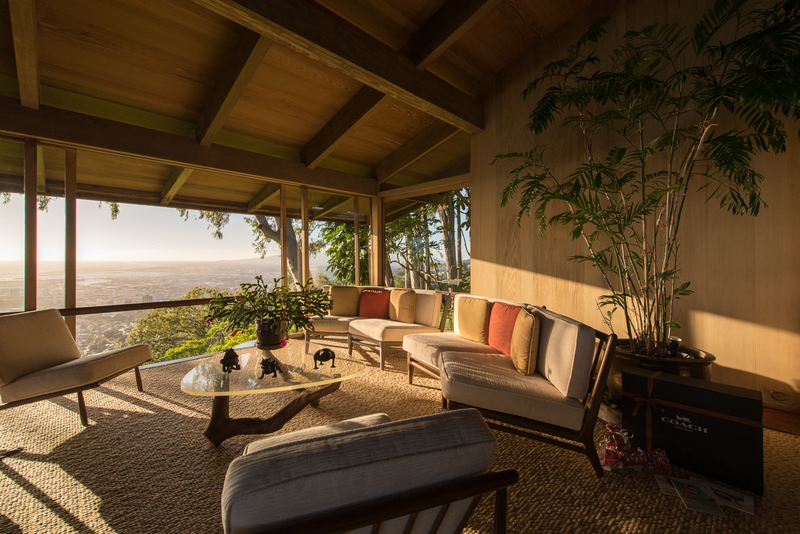 Over the years, we’ve become admirers of Ossipoff’s work and we were anxious to see the projects in person and learn more about this mysterious Russian born, Japanese raised, Berekely educated, and Hawaiian based master architect. Our interview of Dean on the work of Ossipoff is due out later this year in ARCADE Magazine, so subscribe and stay tuned. Dean was kind enough to organize the interview at Ossipoff’s exemplar Liljestrand House, and Bob Liljestrand, eldest son of the original owners, generously hosted. A big thanks to both Dean and Bob for the tour and discussion. 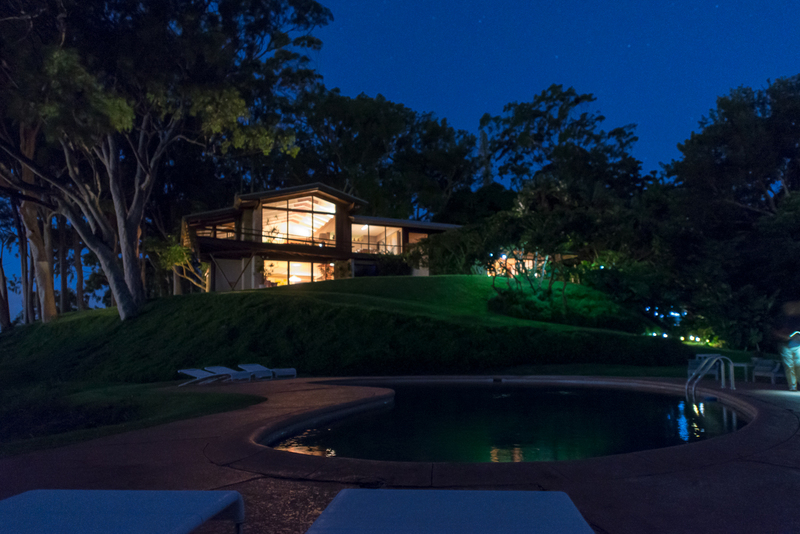 The home is magical, but not how most might assume. 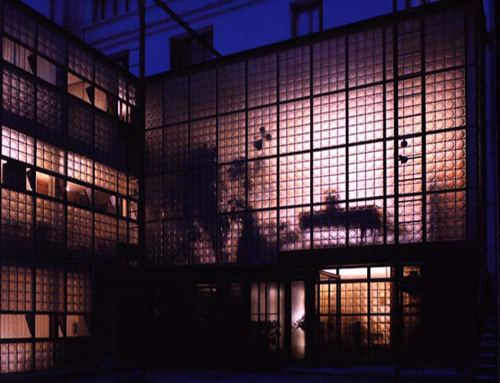 Completed in 1952, the Liljestrand House isn’t over the top or indulgent. It’s not what would be considered mind blowing in today’s hype-driven age of starchitecture. Rather, the Liljestrand house rejects one-liner sensationalism for poetic sensibility. The experience of the Liljestrand House is exceptional for reasons of discipline, mindfulness, and most importantly, restraint. The finished result is the product of a design team who appropriately knew when not to do something. Today’s post is a collection of our photos and thoughts on the house. 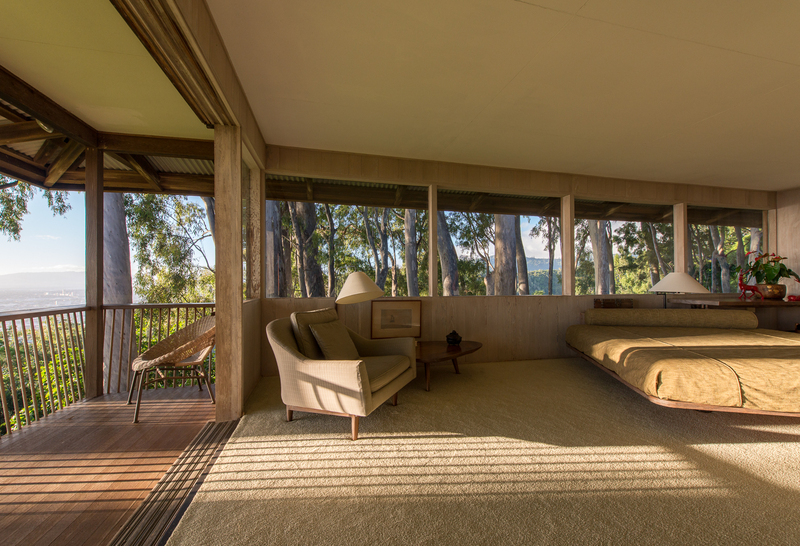 Sited carefully within a densely forested hillside, the Liljestrand house tucks into a grove of mature eucalyptus trees, intentionally blending into the native landscape. Function, daylight, views, and weather patterns guide the form of the house as angles and asymmetries are brought together at a hinge point which connects the common areas with the private wing of the house. Inside, there are few embellishments and everything is exactly where it is for a reason. 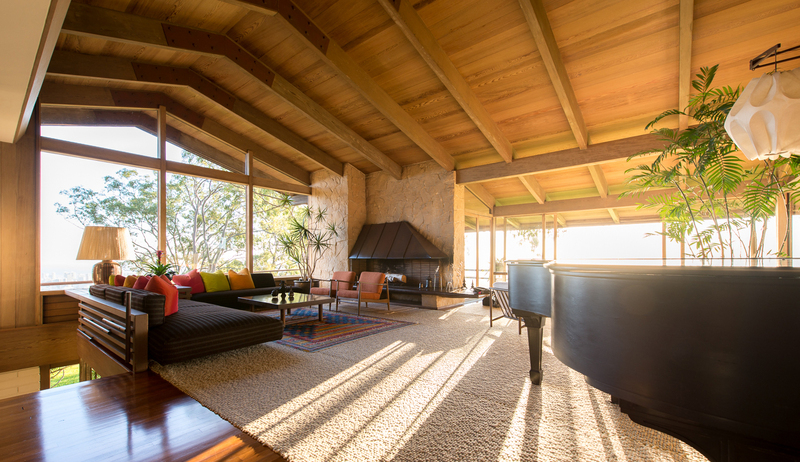 The open plan common areas reveal the structural roof beams, complimented with a cedar lid. Curiously, Ossipoff eliminated the ridge beam at this application, replacing it with steel connectors at each beam coupling. 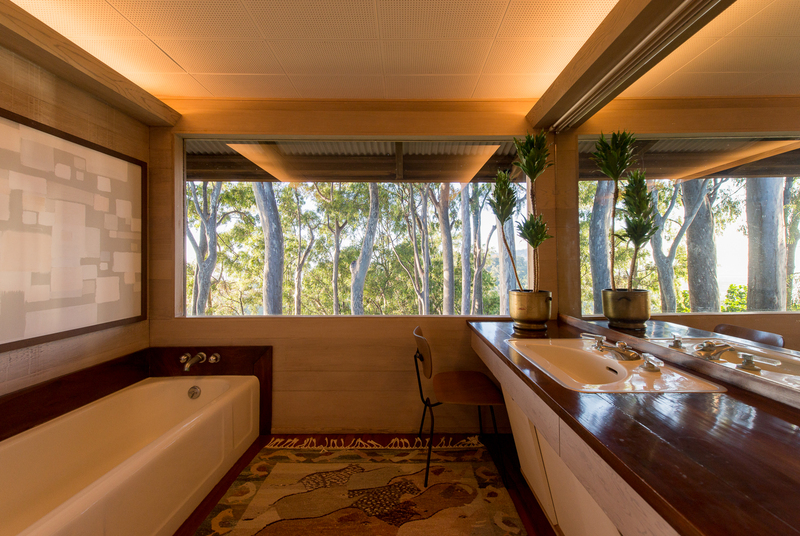 This gives the room a clean, airy feel and allows the cedar lid to be fully appreciated. Subtle soffits conceal the uplighting and bring the scale of the room down to a human proportion. Perhaps one of our favorite discoveries about the house was Ossipoff’s ability to create a set of rules, for instance with the geometry of a traditional gable roof, and then break those very rules with a clever play on form. 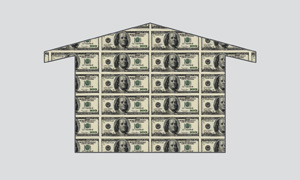 In this case, Ossipoff eliminates a window bay of the living room, thereby creating an asymmetry with the gable roof form. Subtle moves like this illustrate that the master’s hand was behind each and every detail of the house. 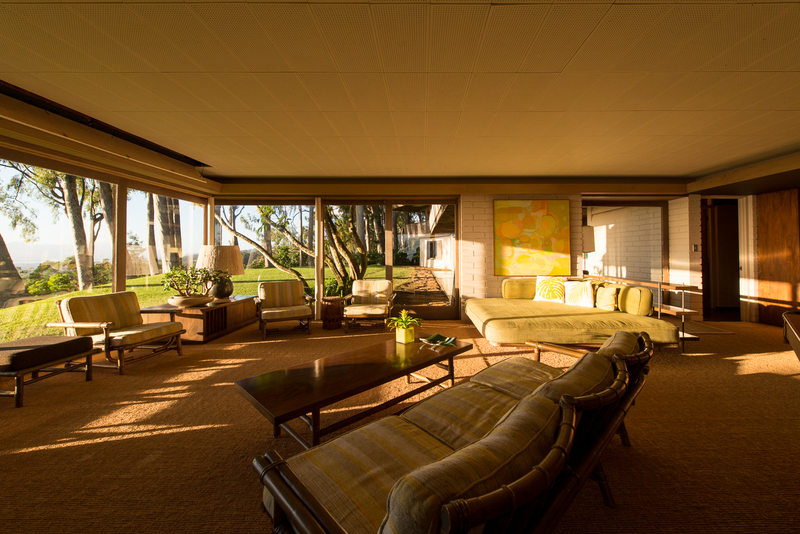 A second sitting area adjacent to the living room offers a more intimate space with its lower ceiling and varied light conditions due to its orientation. 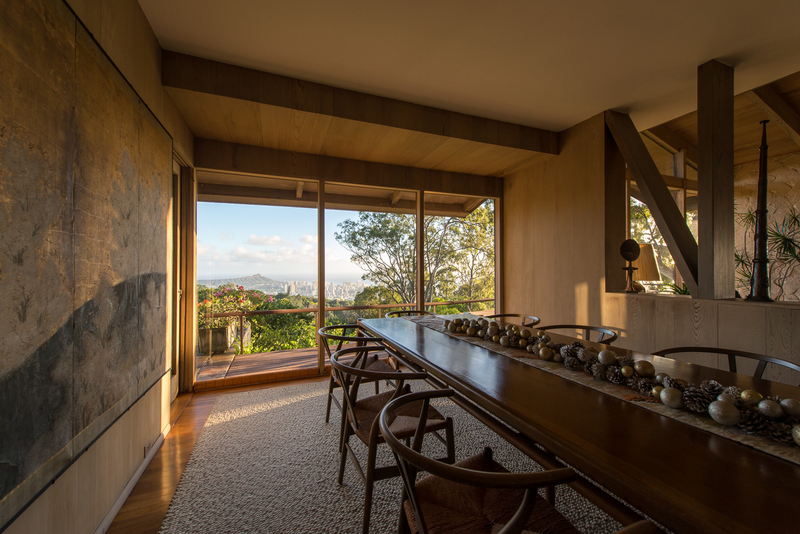 A discreet double vertical mullion at the window expanse gently frames the view without getting in the way of it, while the floor to ceiling glazing allows the viewer to hover over Honolulu below. The dining room is an excellent example of the restraint and harmony in Ossipoff’s work. Three equally spaced, fixed windows keep the space simple and symmetrical, while a dropped ceiling maintains an appropriate scale for sitting. 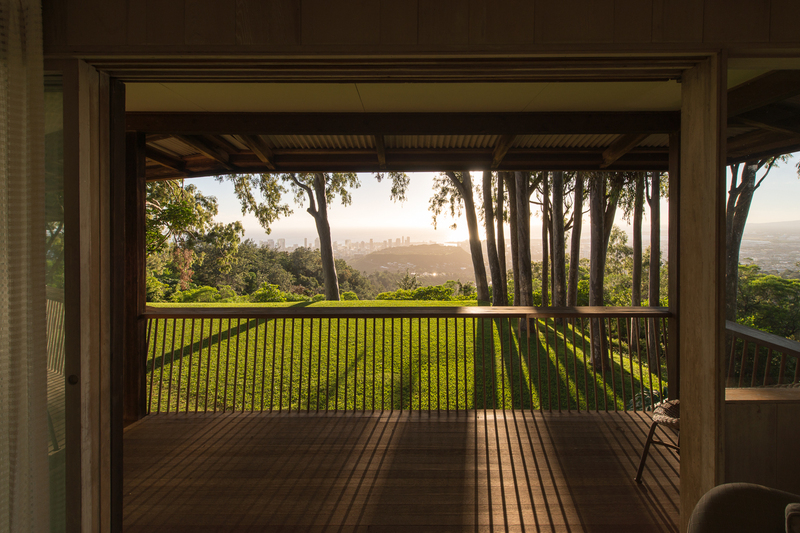 The position of the dining room is thoughtfully oriented toward the view of Waikiki and Diamond Head beyond. The Liljestrand kitchen is a treasure trove of Ossipoff’s innovations. From the slide-out typewriter desk, to the pop-up baseboard dust chute, the cabinetry utilizes every square inch of space for one function or another. We were most taken by the fact that the kitchen appeared to be designed for entertaining and gathering, which would have been quite uncommon in the 1950’s. 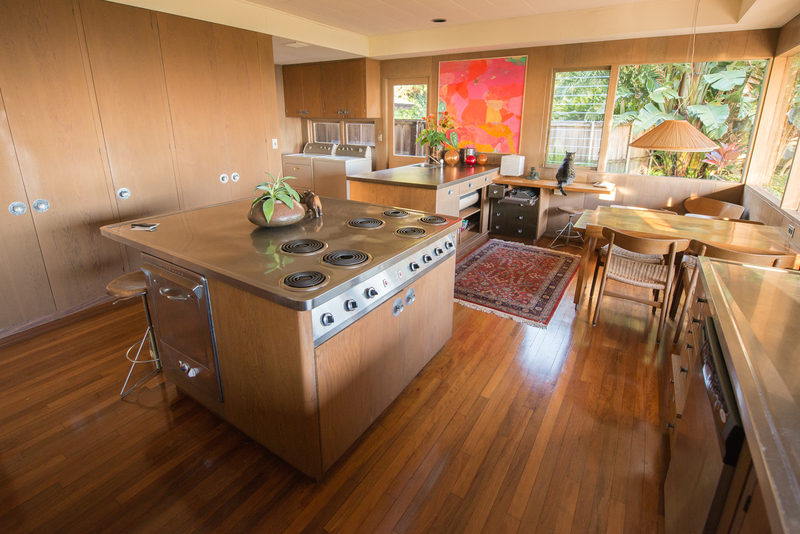 The stainless steel countertops, generous kitchen island, and seven burner range are the envy of residential chefs 65 years later. 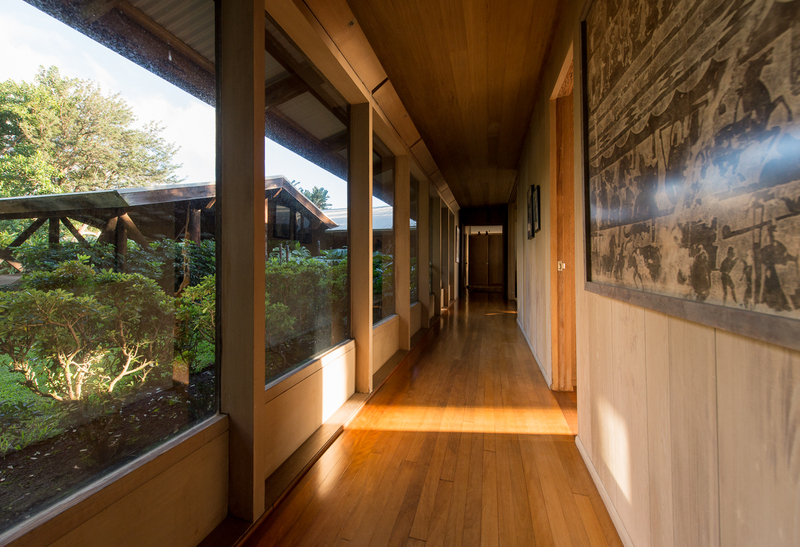 Proceeding down the main hallway of the house, the bedrooms are located on the south where they can best take in the view, while large windows at the north allow natural light to illuminate the path of travel. 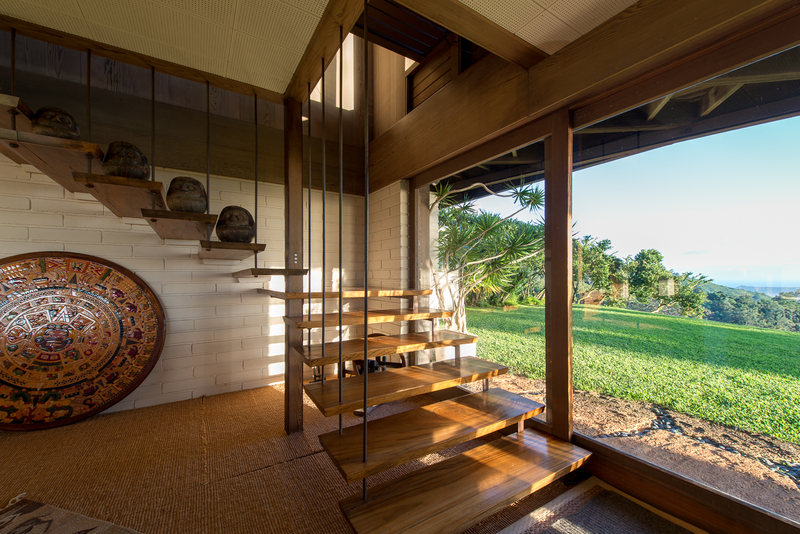 Operable clerestory panels above the windows allow the trade winds from the north to circulate air within the house. 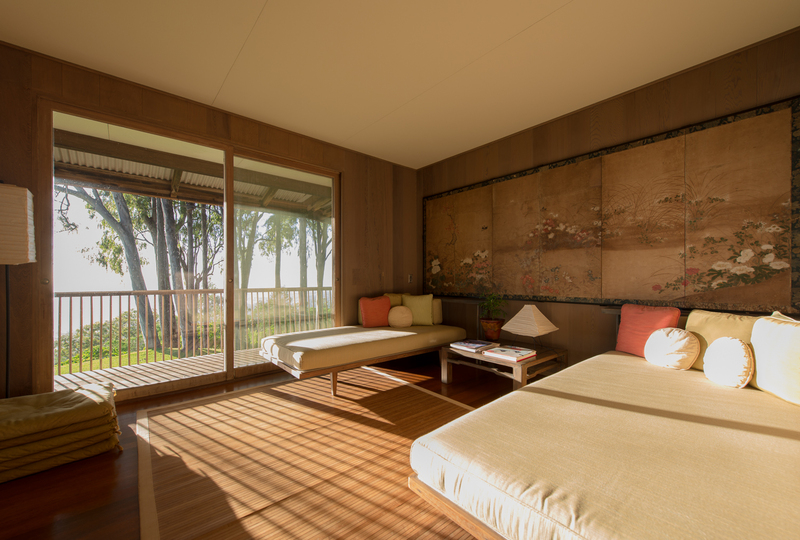 The bedrooms are crafted yet simple, allowing for a strong connection with the outside. 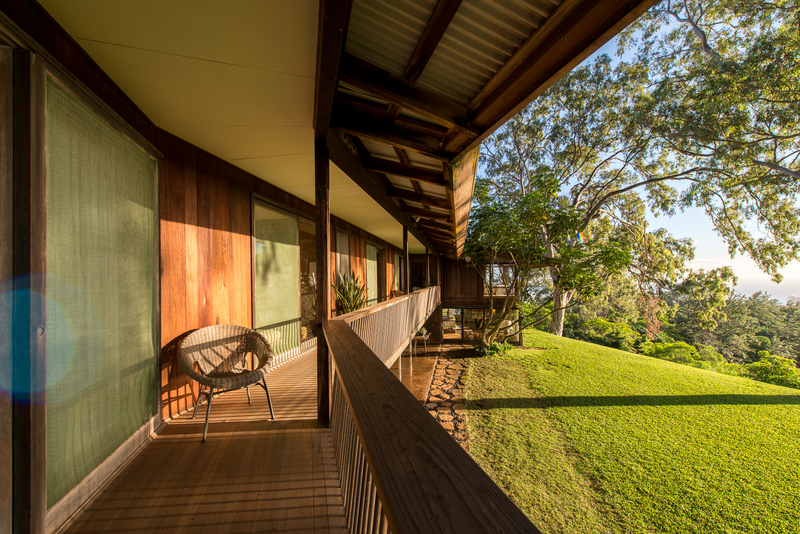 An exterior covered walkway at the south elevation allows each bedroom to open up to the landscape while providing useful shade from the afternoon sun via the deep roof overhang. A spacious master suite incorporates a built-in sofa and an airy sitting area, while large sliding doors open the room to the forest and view beyond. Like most of the house, the primary feature of the master bathroom is a simple window opening the room to the natural beauty beyond. An elegant yet straightforward stair delicately descends to a lower level which shares a direct connection with the site. The lower level offers a third sitting area and signals that an important ingredient of the house is reorienting one’s position throughout the day relative to the weather. It also speaks of a lifestyle in which enjoying one another’s company and sharing community are valued. 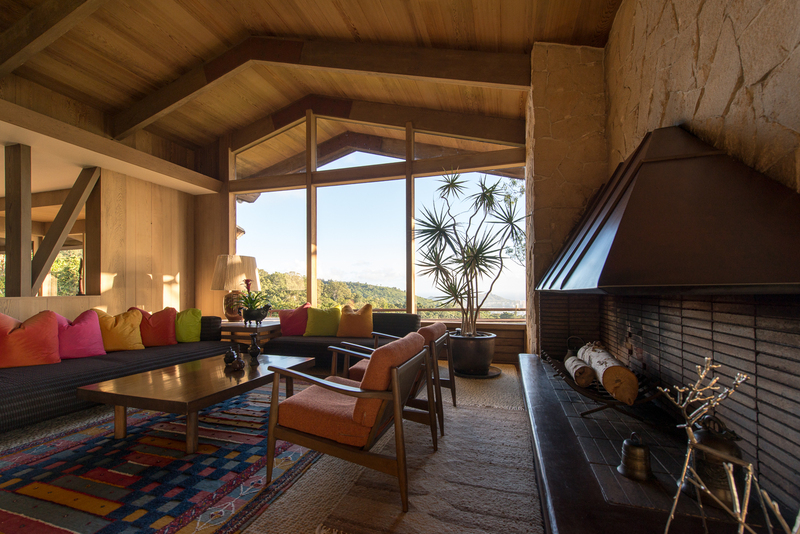 The lessons of the Liljestrand house could be described with just a handful of qualities, but their applications to design are comprehensive and significant. The thoughtful orientation of each and every room guides the placement and form of the house based on environmental and programmatic responses. Bringing the nature in via floor to ceiling windows and sliding doors throughout the residence places the design focus on the natural beauty of the environment while fostering an unobtrusive architecture. A deliberate honesty of form allows the house to look like what it’s doing, thereby creating a harmony between the interior and exterior. Not to be penalized by the rigidity of modernism, Ossipoff breaks the rules when necessary, allowing poetic variations of the structure. Most importantly, a pleasing restraint can be seen in each and every room as well as the overall concept of the Liljestrand House. More often than one might expect, the exceptional examples of architecture are significant precisely because of their mindful restraint. 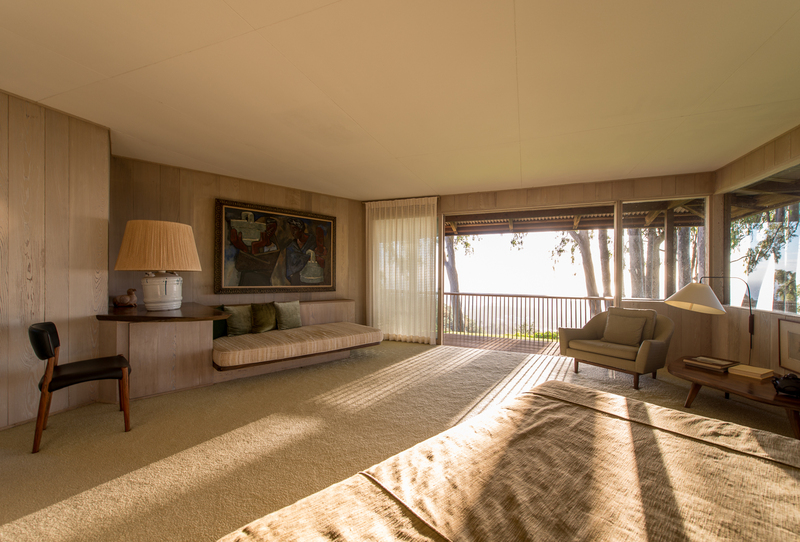 The Liljestrand House is a quietly confident design offering important architectural lessons that are more applicable than ever to today’s design world.